French jeweller Cartier has captured the world ‘s imagination with jewellery that has dressed the ear lobes, necklines, fingers and wrists of some of the world’s most fascinating people over the ages. Even film goddess, Marilyn Monroe saw fit to mention Cartier in the classic film. Gentleman Prefer Blondes and the song has been an anthem for glamour ever since. 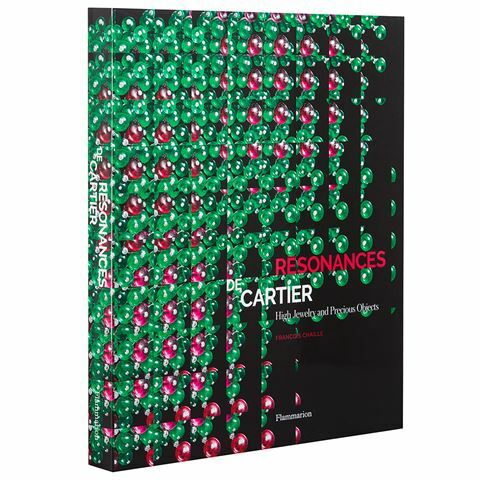 This book, Resonances de Cartier, by jewellery and art expert, François Chaille, celebrates the house’s vocation to sublimate the stones and reveal their personality through unique pieces. Each gem impels the design to follow its own rhythm, and the play of lines and precious materials harmonize with its tempo. Cartier’s collections are full of exotic animals, colours and themes. Studying these pages, it’s easy to understand why Cartier is one of the world’s most evocative jewellers. Details the many collections and gems from one of the world’s most evocative jewellers. An important book for any budding jeweller or collector.